Submitted by WBRi on Wed, 08/03/2016 - 11:39. P. Srinivasa Rao, an agricultural labourer, lived in Ullipalem village of Krishna district in Andhra Pradesh. Being a poor daily wage labourer and having no fixed assets in his name, he could barely manage two square meals for his family. Srinivasa never thought of opening a bank account till he was convinced by Saptgiri Gramin Bank about the benefits of having an account with them. Finally, he opened his bank account in March 2015. With some persuasion from the bank, he also opted for the Union Government’s Life Insurance Scheme, Pradhan Mantri Jeevan Jyoti Bima Yojna (PMJJBY) and paid the premium amount of Rs. 330 in July 2015. Suddenly, in August 2015, he got a massive heart attack and died leaving behind his wife and two small kids. His wife knew about the insurance cover her husband had taken under PMJJBY. Submitted by WBRi on Wed, 08/03/2016 - 11:24. Screening of Peace Haven (Starring Soumitra Chatterjee, Poran Bandyopadhyay, and Arun Mukherjee) to be screened on Sep 3, Sat at 2 PM at AMC Rio (9811 Washingtonian Ctr, Gaithersburg, MD 20878). The screening will be followed by a Q&A with award winning director of the film, Suman Ghosh. Submitted by WBRi on Mon, 08/01/2016 - 01:45. 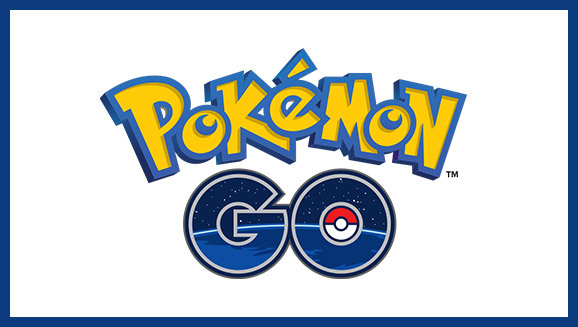 Despite the fact that Pokemon Go is universally adored, there is no denying that the game has raised a few alarms and concerns. If you happen to be a Pokemon fan and trying to catch the next Pokemon round the bend, here is some good news, brought to you by Rajan Zed. Submitted by WBRi on Mon, 08/01/2016 - 01:32. The Durga Puja countdown has begun! The colourful and rich festival which honours the Hindu warrior goddess is a global event. Rajan Zed shares an interesting article on the making of the Durga idols in Cardiff. Submitted by WBRi on Mon, 08/01/2016 - 01:20. Bangladesh has been impaired by a spate of political violence and terrorism in the recent times. The ’Daughter of Democracy', PM Sheikh Hasina, remains steadfast in such trying times. How has her father's vision influenced her personal and political growth in consolidating India-Bangladesh relationship? Trace the background and current impact with Nirendra Narayan Dev. Submitted by WBRi Web Desk on Fri, 07/15/2016 - 13:40. Submitted by WBRi on Fri, 07/15/2016 - 13:03. At the signing, left to right, CIMT's Balamurugan Ratha Krishnan, CEO, Melaka Green Technology Corporation, Datuk Hj.Kamarudin Bin Md Shah, Chief Minister, State Melaka, Datuk Seri Ir. Haji Idris Haron, ADB President Takehiko Nakao, ADB OPPP Head Ryuchi Kaga, and ADB Independent Evaluation Department Director General Vinod Thomas. Submitted by WBRi Web Desk on Fri, 07/15/2016 - 12:20. Aawazon ke baazaron mein khamoshi pehchaane kaun!! .......Sadiyon sadiyon vahi tamasha, Rasta rasta lambi khoj !! Lekin jab hum mil jaate hain, Kho jaata hai jaane kaun!! Woh mera aaena hai aur main uss ki parrchhai hun. Mere hi ghar mein rehta hai, mujh jaisa hi jaane kaun ! It is the season of melancholy in India, in Bangladesh and perhaps also rest of South East Asia. The line from the above song quoted tries to lay emphasise on the "lost individual". "Perhaps, like me there is another individual looking like me in the mirror..."
Submitted by WBRi Web Desk on Fri, 06/17/2016 - 12:51. June 16 - On the occasion of International Day of Yoga, you are invited to join Sadhguru LIVE for two special web events - a live webstream of Sadhguru's talk at the United Nations (Jun 20) and a live Facebook video session (Jun 21). Submitted by WBRi Web Desk on Fri, 06/17/2016 - 12:36. Land Rover stopped people in their tracks today as the Discovery Sport SUV towed three luxury train carriages weighing more than 100 tonnes along a railway track in a demonstration of towing capability. Watch a video. Submitted by WBRi Web Desk on Tue, 06/14/2016 - 11:03. Voluntary unpaid blood donations must increase rapidly to meet 2020 goal. In more than half the world’s countries in order to ensure a reliable supply of safe blood for patients whose lives depend on it, WHO said. With the theme Blood connects us all Telly Celeb stands for donating blood. Submitted by WBRi Web Desk on Tue, 06/14/2016 - 07:48. As in other parts of the world, media consumption in India has shifted decisively online, with 375,000,000 Internet users in 2015, or 30% of the population. Meanwhile, more than 50% of the population owns a mobile phone and around a third of these own a smartphone. Newspaper and magazine print circulation has been declining steadily for over the last six years. Submitted by WBRi Web Desk on Tue, 06/14/2016 - 07:31. Unassuming firecracker Kavita Radheshyam has just fired her new salvo; her umpteenth one since Faisal Saif's Main Hoon Rajinikanth. And as usual, this too, has her trademark sting. Ta da da. Submitted by WBRi on Mon, 06/13/2016 - 23:52. Ex Corporator and President of the Chandivali Taluka Shri Sharad S Pawar announced his association with Shiv Sena and inaugurated his new Party office named 'Vikasgad' on Tuesday, June 07,2016. Maharashtra’s Cabinet Minister of Environment Shri Ramdas Kadam, MLA from Kalina Vidhan Sabha Shri Sanjay Potnis and Shiv Sena leader Shri Adesh Bandekar too were present to grace the occasion and congratulated Pawar on this move. SHARMAN JOSHI as the Brand Ambassador of global movement Round Table India. Submitted by WBRi Web Desk on Mon, 06/13/2016 - 23:44.